​What Is A Popcorn Ceiling? There was a day that nearly everyone of a certain age remembers when popcorn ceilings were the rage in South Bend, IN. They supposedly helped to muffle sound, made a room look a little more cozy, and could even help to hide defects in the ceiling. The trouble is that although there was a time when popcorn ceilings were the answer to these problems and even more, it really has become a look that is rather passe now. Most experts agree that for these reasons and more, popcorn ceilings should be removed as soon as possible. 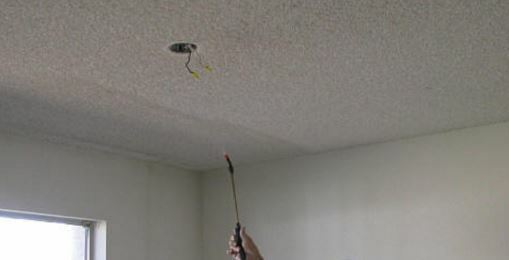 ​​Why Hire Popcorn Ceiling Contractors? If your popcorn ceiling was installed prior to 1978, the materials used probably contain asbestos, which has been determined to be very harmful to your health. You should, as a result, not attempt to remove asbestos yourself. This process might look easy, but once the material is loosened, asbestos fibers will end up flying around in your room and be easily ingested. Instead, you should hire a professional from a firm such asMishawaka Drywall to handle the removal process for you. Mishawaka Drywall has both thepopcorn ceiling removal tool as well as the experience to remove this hazard from your home or office. In most of the cases where homeowners delay getting their popcorn ceilings removed, it is because of the cost they assume will be associated with the process. This is often very erroneous since not only is popcorn ceiling removal much easier than thought, but popcorn ceiling removal cost is often minimal since the undercoat is also a primer, which removes the need for another painting. 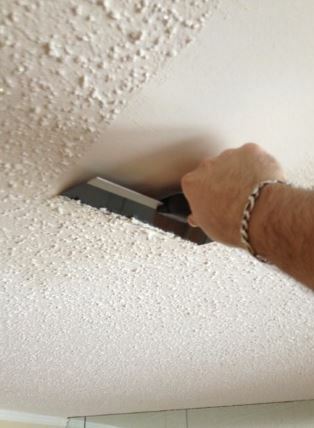 Regardless of the type or condition of your popcorn ceiling, callMishawaka Drywall for the whole removal job. We guarantee that when you put us on the job, it will be done correctly the first time. Even when you don't consider the issues related to the removal of asbestos when working with popcorn materials, it's worth noting that all of this can create a big mess when you try to do the job yourself. 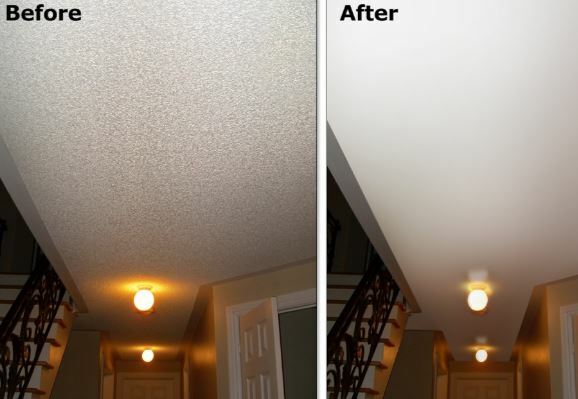 Popcorn ceiling removal asbestos can break up into tiny pieces that float through the air while it is being disturbed, ending up in the lungs of unsuspecting people who breathe these materials. And as probably everyone knows, asbestos is a leading cause of mesothelioma,a particularly deadly form of lung cancer. Who Should I Call For Popcorn Ceiling Removal? There's an easy way to prevent all of this. It starts with a call to Mishawaka Drywall, where dealing with these hazards are what we do best. In fact, we have done these jobs longer than anyone else in the area. Call us first for apopcorn ceiling removal estimate. Remember that popcorn ceiling asbestos is nothing to trifle with. 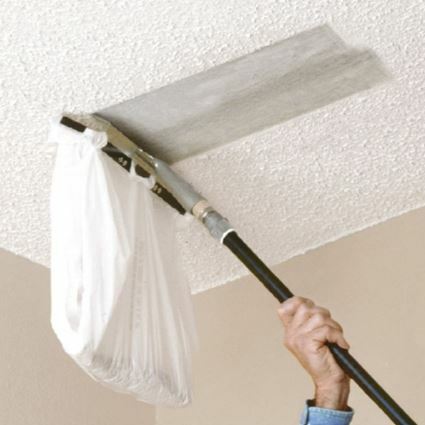 Even if you have painted popcorn ceiling removal jobs, we'll do it. Popcorn ceiling removal diy is not a good idea. Call us for a professional job as well as to see a popcorn ceiling removal video to see how the job is done. You won't regret calling Mishawaka Drywall in South Bend today.